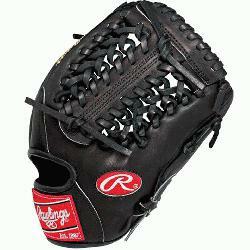 Rawlings PRO1175-4JB Heart of the Hide 11.75 inch Baseball Glove (Right Handed Throw) : This Heart of the Hide baseball glove from Rawlings features the Modified Trap-Eze Web pattern, which is an extremely strong web that provides ball snagging functionality. 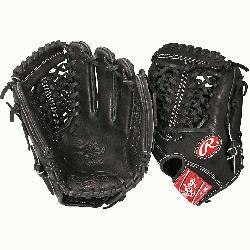 With its 11 34" pattern, this glove is our most popular model and at the Pro Level is primarily used at the shortstoppitcher position and at the collegianthighschool level it can be used at 2nd, 3rd, and shortstop. Handcrafted from the top 5% of steer hides and the best pro grade lace, the Heart of the Hide gloves durability remains unmatched. Its Conventional back drives flexibility and strength.